MYST has returned from the mire to deliver the second chapter of his exceptional tale. 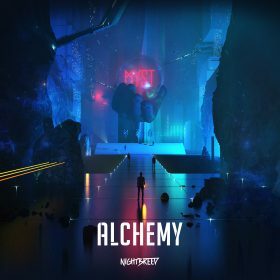 What started with the proclamation of his Prophecy now takes a new form in this formidable follow-up album: Alchemy. Through the mystic arts, MYST harnesses energy and bends reality into majestic musical shapes. Experience four ground-breaking solo productions, including the critically acclaimed ‘From The Ashes”, the sublime collaboration with Sound Rush ‘Echo’ and an overly atmospheric remix of ‘Before You Go’ by High Voltage.